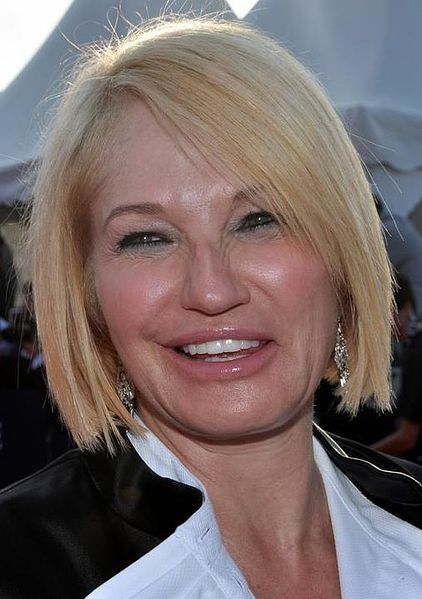 Ellen Barkin was born in The Bronx, New York, United States, on April 16, 1954, is an American hot actress. Young Ellen Barkin began her acting career on stage in off-Broadway plays. She made her big screen debut in comedy music movie Up in Smoke (1978) in uncredited role as Guitar-playing woman. Her breakthrough role came as Beth Schreiber in comedy drama film Diner (1982). She made her Broadway theatre debut in a play The Normal Heart (2011), in role as Dr. Brookner, for which she won the Tony Award for Best Featured Actress in a Play. She was nominated for the Golden Globe Award for Best Actress for her role as Amanda Brooks in comedy film Switch (1991). She won a Primetime Emmy Award for her performance as Glory Marie Jackson in television film Before Women Had Wings (1997). She's playing Janine "Smurf" Cody on the drama television series Animal Kingdom, since 2016. She played Jane Forrest in sitcom The New Normal (2012–2013). She studied at the High School of the Performing Arts, Hunter College and the Actors Studio in New York. Good friends with actresses Julianne Moore and Michelle Pfeiffer. She was married to Gabriel Byrne (1988-1999), they have two children and Ronald O. Perelman (2000-2006). She dated actors David Arquette (1995), Robert Duvall (1982), Ralph Fiennes (2006), Sam Levinson (2011) and Matt Dillon. Worked as a waitress to pay for her education at Hunter College. I'd rather just be stuck at home watching Turner Classic Movies. I'm stuck with a book and old movies, that's pretty much the beginning and end of my life. 'Normal Heart' was my most transcendent moment as an actor.